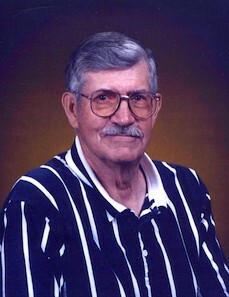 Joe Dale Ruphard, 84, a resident of Broughton, Illinois, passed away Friday, January 25, 2019 at the Hamilton Memorial Rehabilitation & Health Care Center. He was born August 29, 1934 in Broughton, IL, the son of William L. and Ruby Faye (Kennedy) Ruphard. Joe married Peggy Ann Wylie on January 9, 1960 and she preceded him in death. Joe was U.S. Navy Veteran having served during the Korean War, a retired assemblyman and lineman for the Whirlpool Corporation in Evansville, Indiana, and was also a member and deacon of New Prospect Missionary Baptist Church. Joe is survived by his son, Brad (Linda) Ruphard of Norris City; daughter, Lisa (Mark) Link of McLeansboro; six grandchildren: Jaimi (Jimmy) Kerley, Tara (Doug) Miller, Casey (Eric) Ikemire, Jessica Ruphard, Latricia Link and Levi (Megan) Link; seven great grandchildren: Wyatt, Morgan, Addyson, Jordan, Miley, Maddox and Jack; three brothers: Charles Ronald Ruphard, Lewis Donald Ruphard and Larry Robert Ruphard; and one twin sister, Joan Lauderback. Funeral services will be held Monday, January 28, 2019 at 1:00 p.m. at the Gholson Funeral Home in McLeansboro with Rev. Alan Monroe officiating. Visitation will be Monday, January 28 from 11:00 a.m. until the time of service at 1:00 p.m. at the Gholson Funeral Home in McLeansboro. He will be laid to rest at Gholson Cemetery near Broughton with Graveside Military Rites performed by McLeansboro American Legion Post 106 and a Navy Honor Guard Team.